This Saturday is the Khatsahlano Music + Arts Festival along West 4th Avenue. The namesake of the festival, and the community of Kitsilano, is August Jack Khatsahlano. August Jack became known for working with Vancouver’s early settlers and for recording his peoples’ oral history. August Jack, hereditary Chief Khatsahlano, was the last of forty great medicine men in the ancient order of the dancers of the Squamish Indians. He was born in Stanley Park, Vancouver and lived in what is now known as the False Creek area. August Jack and his wife Mary Ann lived in and around Squamish for many years where he was a boomman. He moved to the Capilano Indian Reserve for a time but eventually moved back to Squamish. He and his wife had their own home on the reserve in the North Yards. speaking at the re-dedication of Stanley Park. He was born in the village of Xwayxway, which is Stanley Park today. However, in a book by Major J.S. Matthews it says that Squamish Chief August Jack Khatsahlano was born near the site of Burrard Bridge at the village of Snauq along False Creek (according to baptism records). He was the son of Khaytulk “Supple Jack” of Chaytoos and grandson of Chief Khahtsahlanogh. Major Matthews (Vancouver’s first archivist) would chat with August Jack many times over the years and the book “Conversations with Khatsahlano, 1932-1954” was published with his records. Matthews and August Jack discussed everything from area history, legends, and traditions like the Potlatch, to food preparations and plants for medicine — there’s even a quick, random note Gassy Jack’s wife going up to Squamish. Matthews refers to him fondly as “my friend August Jack”, a “splendid character”, “a natural born historian”, “and a charming man, one of nature’s gentlemen,” in his notes. 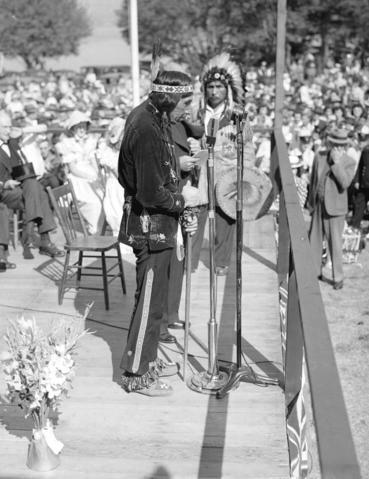 I am only about a quarter of the way through the “Conversations with Khatsahlano, 1932-1954” reference material, thanks to the Vancouver Archives, but it’s absolutely fascinating to learn more about dynamic Chief Khatsahlano through these discussions. If you’re out and about in Kits this Saturday take a moment to think of August Jack Khatsahlano, the namesake of this friendly, eclectic, and vibrant neighbourhood. There was a glitch when we uploaded “Conversations with Khahtsahlano, 1932-1954”, and it ended up on our Internet Archive film site. It’s just been uploaded to our Internet Archive text site, where it can be read online or downloaded in many formats. Thanks for posting this. Wish there was more information on August Jack and his people. did you ever see or was it you who i got it from, the bit about Chief Kitsilano, where he found the wreck of the tracked steam machine at the foot of what MacDonald now, and he cut off some rubber from the track and made a lacrosse ball, that i think is in the old Mill Store north foot of Alma street nowadays? am i right? Very nice article. I have painted a portrait of August Jack taken from a photograph which I cannot now locate to give credit to the photographer. So interesting to hear he was a medicine man etc. as those who see his picture in my house are very taken by him. My great grandmother Mrs. Alexander (Hastings Sawmill) would tend to Indian`s injuries if they came to her door. August Jack was my great grandmother’s brother and of course was the daughter of the 1st Chief. I would love to connect with any relatives.